Who does whatever it takes to bring peace and change in the whole world. Who is so gracious for anything else in this world. 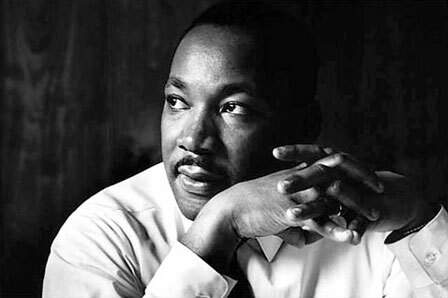 Who Led the March over the bridge to Selma. My Name Is Martin Luther King, Junior. During a game at the National Football League, The football players was not standing as much, But eventually it was such a shame that many fans just feel so disgusted, I didn’t expect a person who wants to take a knee. 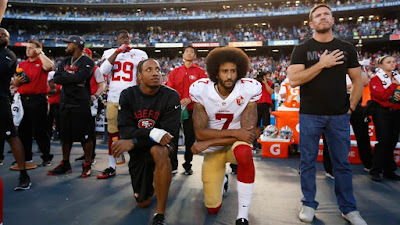 The Take A Knee movement that started with football quarterback, Lead to a nationwide protest from live broadcast games across the globe, But one football quarterback from the San Francisco 49ers, His name was Colin Kaepernick. A man who just wanted to change the status quo, Just decided he wanted to try something new in his state of mind, But just doing whatever he wants to do to take a knee during the Star Spangled Banner, But I’m afraid that this stint didn’t sit to well for the President Of the United States Of America. Copyright © 2012 - 2016 Ryan Ngala's Poems™ | STN® Poetry. All Rights Reserved.